Dr. Rajat Kandhari(Skin Specialist in Delhi) completed his MBBS from Pune University and his MD in Dermatology from Sri Ramachandra University and Medical College, where he topped the university. 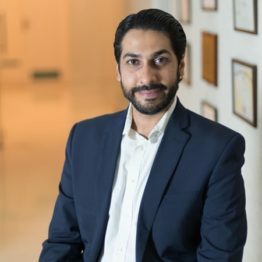 After Dr. Rajat completed his MD, he worked at the busy Safdarjung Hospital, New Delhi and gained vast clinical experience over a span of 3 years, post which he ventured in to the field of Aesthetic Dermatology. Dr. Rajat has received initial training with international leaders such as Dr. Woffles Wu and Dr. Niwat Polkinorn, and now is passionate about disseminating the knowledge he has attained over the years. He is a regular orator at national and international conferences and is a national trainer for Allergan Aesthetics. At a young age Dr Rajat has achieved impressive academic credentials. He has authored and co-authored articles in national and international textbooks and national journals. He is a keen orator and is regularly invited at national and international conferences as a guest speaker. During his travels he has had the opportunity to interact with experts from all over the world honing his skills and expertise and bringing them to be practiced in India. Dr Rajat currently holds the vice president (2016-17) post for the Indian Association of Dermatology (Delhi Chapter) and has previously served the branch in capacity of the Honorary Secretary (2015-16). He is currently a part of the coveted Special Interest Group for Lasers and Aesthetics (SIGLA) and also SIG Psoriasis in affiliation with the National Dermatology body. Khunger N, Kandhari R. Ingrown toenails. Indian J Dermatol Venereol Leprol 2012;78:279-89. Kandhari R, Ramesh V. Parasitic and Helminthic infections. In: Inamadar A, Sacchidanand S eds, Textbook of Paediatric Dermatology, 2nd Ed.